"Just laying down more miles of pavement doesn't make for a reliable commute," said a veteran of several regional boards on traffic. Here's what you can do to help make your commute easier. 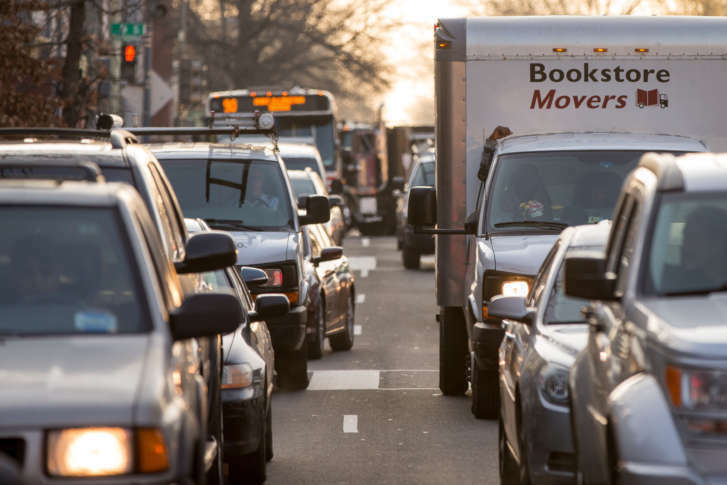 WASHINGTON — The metro D.C. area is routinely included on lists of areas with the worst traffic, and a local leader trying to fix it believes drivers can do more to be part of the solution. “Just laying down more miles of pavement doesn’t make for a reliable commute,” said David Snyder, chairman of the National Capital Region Emergency Preparedness Council. In addition to being a member of the City of Falls Church Council, Snyder is a veteran of other regional boards that focus on transportation. He points out that about half of highway congestion and delays are caused by “nonrecurring” incidents such as breakdowns and crashes. “The reality is the public has the absolute key role of not creating the accident in the first place.” That’s the best kind of incident management, Snyder stressed. Embracing that responsibility translates into diligence about vehicle maintenance and driving without distraction as well as being prepared to respond appropriately when something does happen. Communicating effectively with the public so drivers can make better informed decisions.